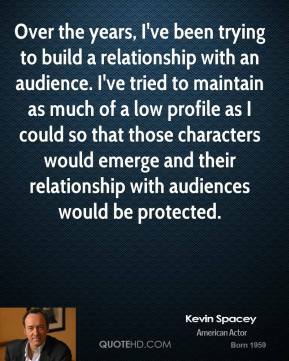 I liked it because it was such a dangerous script and showed just what human beings are capable of. 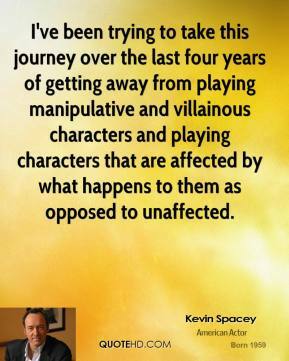 Here was a movie in which Morgan Freeman and Brad Pitt, who always win in every movie they ever do, simply don't win. 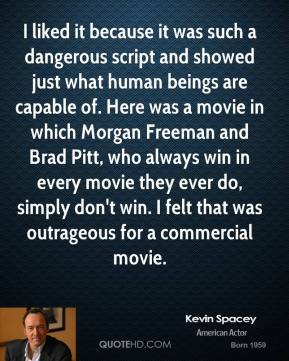 I felt that was outrageous for a commercial movie. 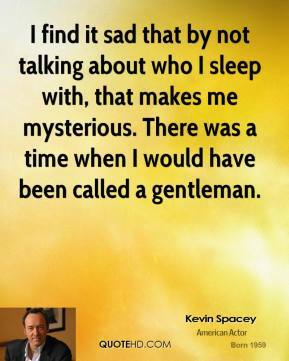 I mean we all played as kids. 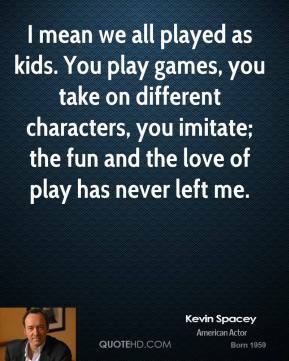 You play games, you take on different characters, you imitate; the fun and the love of play has never left me. I open myself up every time I walk on screen and give you everything that I am. 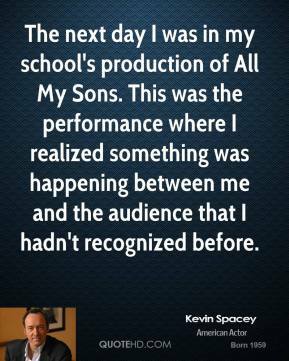 There are parts of me that are in every movie that I've done. 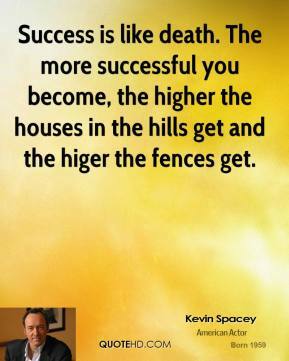 That to me is what my job is. I went through a period of great rebellion within my family, when I was about 9 or 10. 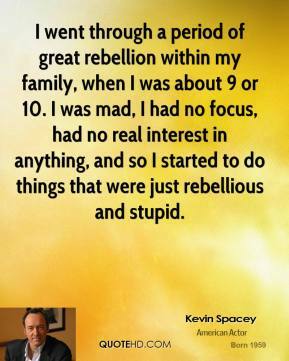 I was mad, I had no focus, had no real interest in anything, and so I started to do things that were just rebellious and stupid. 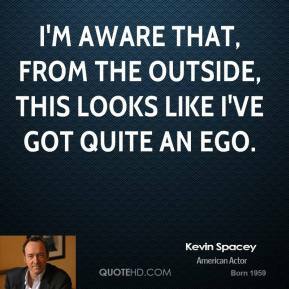 I'm aware that, from the outside, this looks like I've got quite an ego. 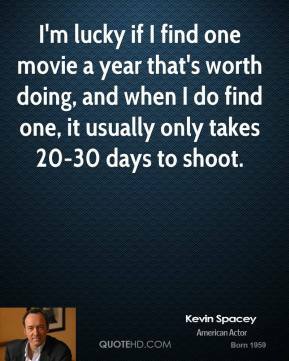 I'm lucky if I find one movie a year that's worth doing, and when I do find one, it usually only takes 20-30 days to shoot. I'm supposed to convince you, for two hours, that I'm somebody else. 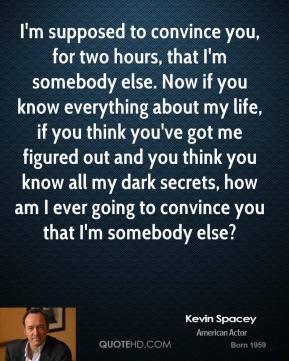 Now if you know everything about my life, if you think you've got me figured out and you think you know all my dark secrets, how am I ever going to convince you that I'm somebody else? 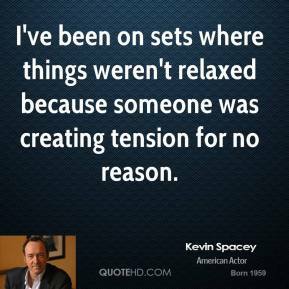 I've been on sets where things weren't relaxed because someone was creating tension for no reason. 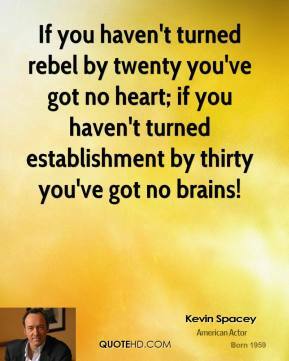 If you haven't turned rebel by twenty you've got no heart; if you haven't turned establishment by thirty you've got no brains! 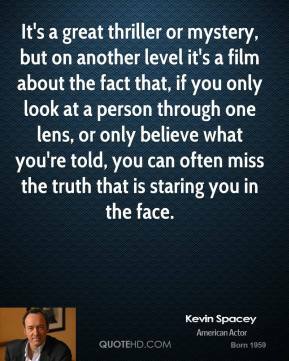 It's a great thriller or mystery, but on another level it's a film about the fact that, if you only look at a person through one lens, or only believe what you're told, you can often miss the truth that is staring you in the face. 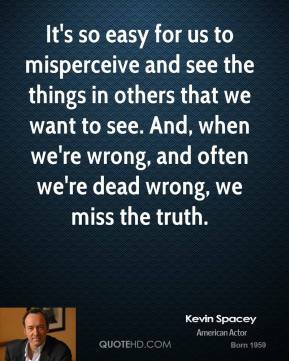 It's so easy for us to misperceive and see the things in others that we want to see. 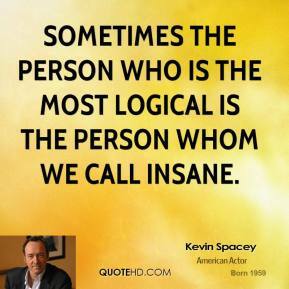 And, when we're wrong, and often we're dead wrong, we miss the truth. 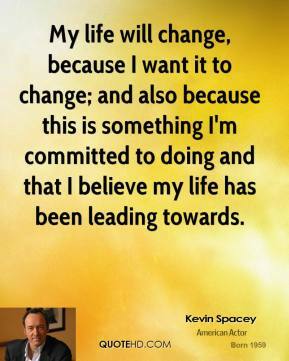 My life will change, because I want it to change; and also because this is something I'm committed to doing and that I believe my life has been leading towards. 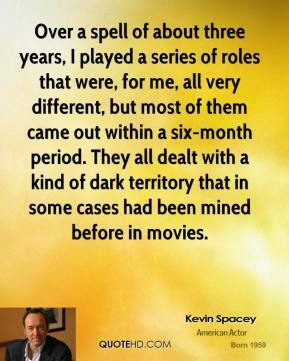 Over a spell of about three years, I played a series of roles that were, for me, all very different, but most of them came out within a six-month period. 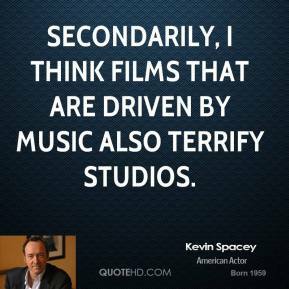 They all dealt with a kind of dark territory that in some cases had been mined before in movies. 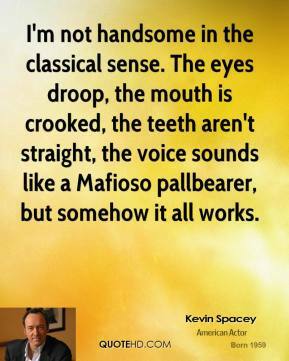 I'm not handsome in the classical sense. 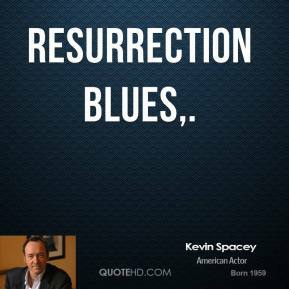 The eyes droop, the mouth is crooked, the teeth aren't straight, the voice sounds like a Mafioso pallbearer, but somehow it all works. 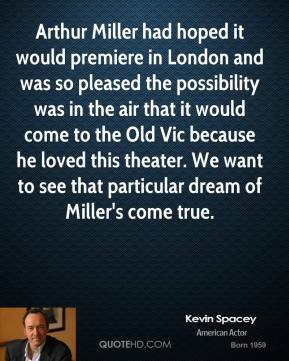 Arthur Miller had hoped it would premiere in London and was so pleased the possibility was in the air that it would come to the Old Vic because he loved this theater. We want to see that particular dream of Miller's come true. 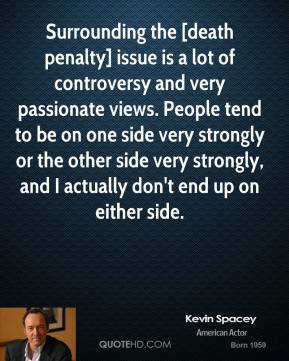 Surrounding the [death penalty] issue is a lot of controversy and very passionate views. 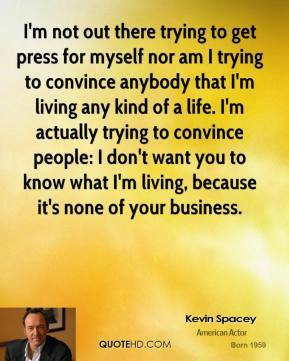 People tend to be on one side very strongly or the other side very strongly, and I actually don't end up on either side.